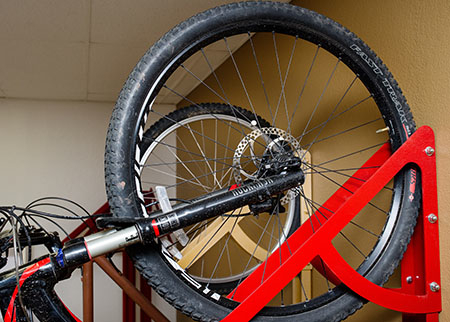 College campuses, condo buildings, public garages, and office complexes benefit greatly from a vertical bike storage system. 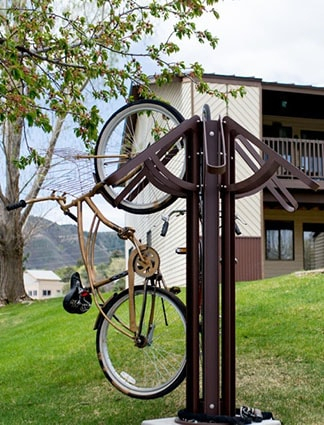 Our wall mounted or circular racks are designed to hold one, two, three, four, six, or eight bicycles while saving space, clearing sidewalks, and increasing the amount of parking available. 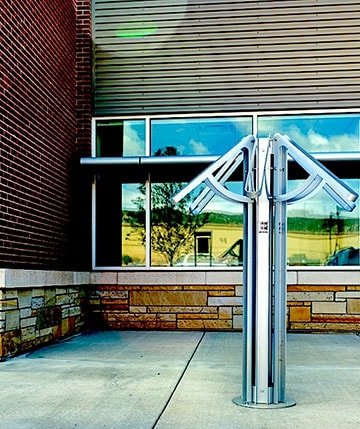 With their eye-catching design and sturdy construction, our circular models are a great addition to any public, commercial, or residential space. 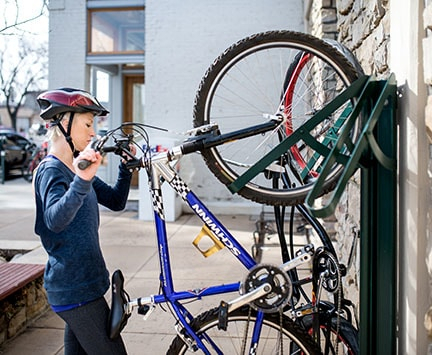 Whether you’re a bicycle commuter or you simply enjoy a leisurely ride now and then, finding space for your bike in your home can be tricky. You want to keep your investment someplace secure, but you also don’t have much space to spare in your living room or garage. We offer single rack designs that are optimal for foyer spaces, dorms, and smaller apartments. 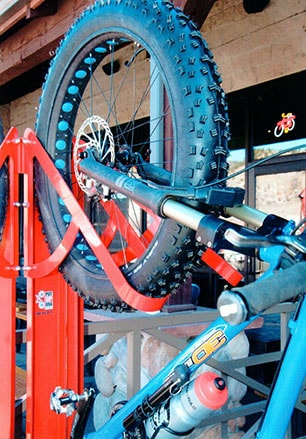 In addition, our ultra compact and concrete-mountable freestanding models in full- and half-circle designs can store a whole family of bicycles.